For the big 3-0, I biked alongside my father and my partner to Hayes Valley to celebrate at A Mano. High on my list of places to try, what really appealed to me about this place was that it is walk in only. In a town where people book reservations out months in advance, that is gold. A Mano means “by hand”, which shows the chef’s intention to make the food here as detailed and hand crafted as possible. 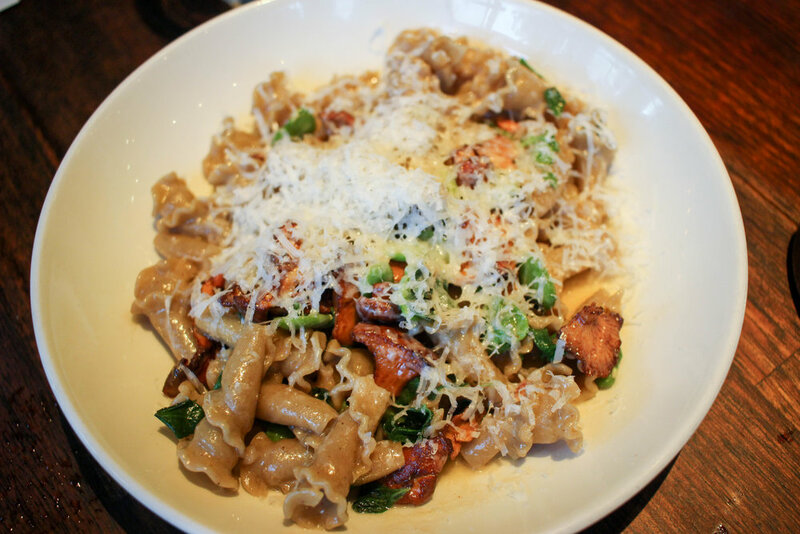 While all the dishes are tasty, the real emphasis here is on the pasta. I recommend skipping the pizza and focusing just on the pasta dishes, as that is what they do best. Blending Italian specialties with Californian cuisine, the rotating menu evokes seasonality and freshness. Late summer is a particularly wonderful time to dine here, as tomatoes, corn, and chanterelles are in peak season making for some of the best, most comforting dishes you can find. We started our meal with two appetizers. First the cauliflower with lemon, chili, and bagna cauda. For those new to bagna cauda it is a hot dip that originated from Italy in the 16th century and is a mixture of olive oil, butter, anchovies, basil, and garlic. It’s pungent, creamy, and utterly decadent. Next we had the Monterey squid with corn, shishito peppers, and romanesco. This dish is a particularly nice tribute to local and seasonal California cuisine. After our starters we dove into the next and most exciting courses - the pastas. Here are the three we tried. Of the three, we unanimously agreed that the third dish was the most robust and flavorful. I also loved the mafaldine, which is a flat, ribbon-shaped pasta. 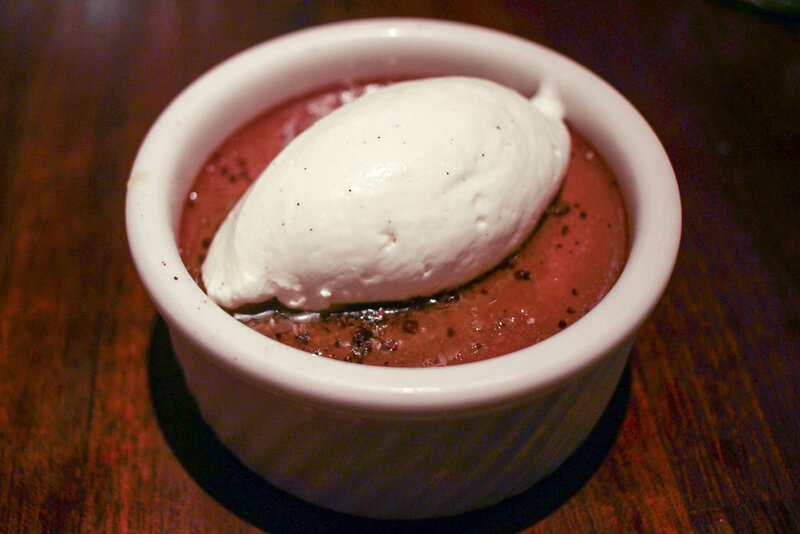 To celebrate another cycle around the sun, we shared the chocolate budino. Chocolate cake has always been my favorite way to finish off a birthday meal, and the richness of this treat perfectly capped off the meal.